Once upon a time west of the Kaystros River, Ephesus included consecutive Hellenistic and Roman settlements established in new settlements following the coastline as it was drawn to the west. The excavations revealed the great monuments of the Roman Imperial period, including the Celsus Library and the Grand Theater. There are the remains of the famous Temple of Artemis, one of the 'Seven Wonders of the World', which attracts pilgrims from all over the Mediterranean. Since the 5th century, the Virgin Mary House, a domed, cross-shaped chapel seven kilometers from Ephesus, has become an important part of the Christian pilgrimage. 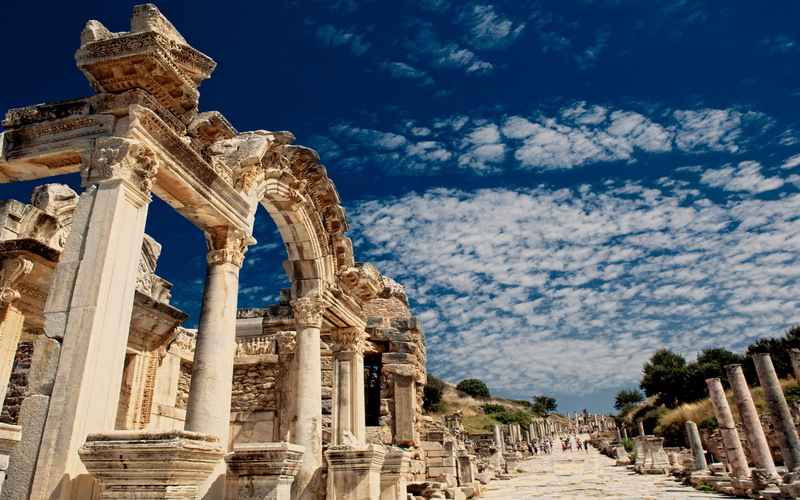 Ephesus Antique City is an extraordinary example of the Roman port city, with its sea channel and harbor basin.